Mr. 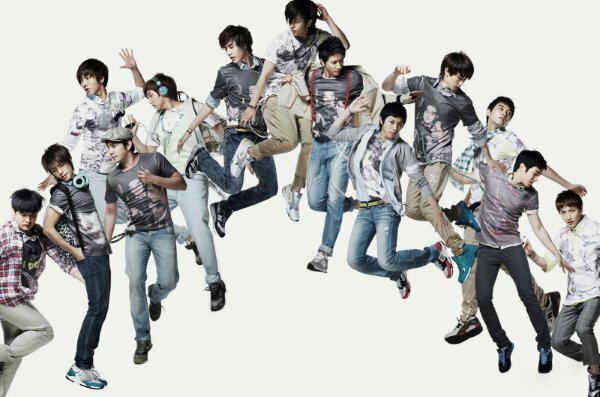 Simple is one of many songs presented by Super Junior who held their concerts at Mata Elang International Stadium, located in Jakarta, Indonesia, from April 27th to 29th 2012. Approximately 25,000 fans gathered to see them. It was Super Junior’s first solo concert in Indonesia, and it only took minutes for the tickets to be sold out. On the days of the concerts, fans formed lines to get the tickets, causing major traffic congestion in the area, and some fans even fainted. This is one common picture of present-trend of hallyu or ‘Korean Wave’. Korea in the 21st century can be said as successful in competing with Hollywood and Bollywood in expanding its culture to international community. Various types of Korean products starting from movie, song, fashion, lifestyle up to industrial products affect people’s life in many parts of the world, including Indonesia. The term Hallyu literally denotes “Korean (Cultural) Wave/Current,” and was first used by the Chinese media in the late 1990s. It refers to a sweeping phenomenon in which Korean cultural/media products are enthusiastically hailed by adjacent countries in East and South East Asia: namely, Japan, China (including Hong Kong), Taiwan, Singapore, Thailand, Vietnam and Malaysia. This unprecedented craze for Korean culture is spreading at an astonishing pace, stretching from content-based products like movies, popular songs, and television dramas to such cultural hardware as food, clothing, accessories, mobile phones, and the likes. The first wave of Hallyu started in Japan a decade ago with the Korean TV drama “Winter Sonata.” Its hero Bae Yong-joon won hearts of Japanese ladies, who gave him the affectionate nickname “Yonsama.” Bae and a number of handsome actors led the first wave of Hallyu, mostly in Japan and other Asian countries as non-Koreans came to enjoy Korean dramas. The second wave of Hallyu reached beyond Asia, with singers like Rain, Boa and the Wonder Girls advancing into the United States. The third wave of Hallyu has broadened the sphere. It has become a global phenomenon. Music videos of idol stars like Girls’ Generation, 2NE1, Big Bang, Super Junior and 2PM are popular around the world. According to an analysis of the official YouTube channels of SM Entertainment, YG Entertainment and JYP Entertainment, which are the biggest three in the industry, the total number of views generated by Korean music-related videos was 793,574,005 in 229 nations in 2010 alone. Some of views were from countries far from Korea such as Malta, Cyprus and Aruba, showing the unlimited potential of Hallyu coupled with the digital service. My main question while facing this hallyu phenomenon is: “Is it possible to find God – the Holy one – in these signs and symbols of popular culture, which is often assumed as profane and worldly?” In postmodernist societies, signs are all-important, and for Baudrillard they create a “hyper-reality” that seems more real than actual reality. The simulations now seem more real than the things they simulate, and underlying it all is the development of consumer cultures; for postmodern societies are, above all, consumer-crazed societies. In these societies, the things we purchase are no longer evaluated in terms of their use or functionality but rather in terms of what they signify about us – what they reveal about us, such as our taste, our style, our socioeconomic level, and our attitudes toward authority. According to Paul Tillich, we encode our ultimate concerns in the language of religious symbols. In order to speak of the ultimate, we must borrow from our experience of ordinary reality. Thus, in the Bible, God is referred to as creative, compassionate, powerful, good, abiding, just, wrathful, steadfast, fatherly, loving, etc. These terms all describe a range of attributes and actions drawn primarily from human behavior, and then, by analogy, extended to describe God. This has the dual effect of making the mystery of the divine comprehensible and valorizing certain human traits. Extrapolating from the root of the word in stylus, which is an instrument for writing, Tillich uses the term “style” to refer to the creative ways in which a culture inscribes or expresses itself; the style of a culture is the patterned ways in which it interprets itself across its various domains (art, science, ethics, politics, etc.). It has been argued earlier in this book that it is toward the production of popular culture – films, novels, advertising, theme parks, television, music, etc. – that much of the creative genius of our time is gravitating. I then realized that the question of God cannot be asked without raising the prior questions of the one who is able to ask the question of God.It is realized that human realm offers us a large field of exploring the new formulations of faith in such a way that man sees what is meant by them and how they are connected with his understanding of himself, as witnessed to in his own experience, in his ‘culture’.Encounters between culture and theology continue to take place even in our post-modern era. However, the whole connection of these two great branches science must be read – again – in broader context of human struggle to reach better understanding about God and about himself as well. The lecture, “On the Idea of a Theology of Culture,” introduced an approach and themes that were to become a charter for Tillich’s work in the years ahead. In this lecture, Tillich distinguishes between “theology of the church,” which consists in interpreting materials found in the overt religious sphere (sacred scriptures, doctrines, the architecture of worship, symbols and rituals), and “theology of culture,” which consists in searching for religious “substance” within the other spheres of culture (science, art, morality, politics, economy). 4. the use of popular cultural texts and practices as a medium for theological reflection. Cf. Choi Jung-Bong, “Hallyu (The Korean Wave): A Cultural Tempest in East and South East Asia” in USA Today. USA Today (www.usatoday.com/news/world/2004-12-09-korean-actor_x.htm). Retrieved April 25, 2012. Cf. Yoon Ja-young, “YouTube Taking Hallyu on International Ride” in The Korea Times. The Korea Times. Retrieved March 16, 2012. Choe, Yong-sik, “Marketing Korean Pop Culture” in Korea Herald, August 31, 2001. Retreived April 30, 2012. Cf. Arthur Asa Berger, The Objects of Affcetion: Semiotics and Consumer Culture, Palgrave Macmillan, New York 2010, 50. Kelton Cobb, The Blackwell Guide to Theology and Popular Culture, 113. Paul Tillich, Systematic Theology, I , 140. Cf. Paul Tillich, Systematic Theology, I , University of Chicago Press, Chicago 1951, 39 f.
 Cf. Joseph de Finance, “Christian Philosophy”, 779. Cf. Michael Purcell, Levinas and Theology, Cambridge University Press, Cambridge 2006, 2. Cf. Paul Tillich, “On the Idea of a Theology of Culture,” trans. William Baillie Green, in What Is Religion?, ed. James Luther Adams, Harper& Row, New York 1969. Cf. Gordon Lynch, Understanding Theology and Popular Culture, Blackwell Publishing, Oxford 2005, 21.